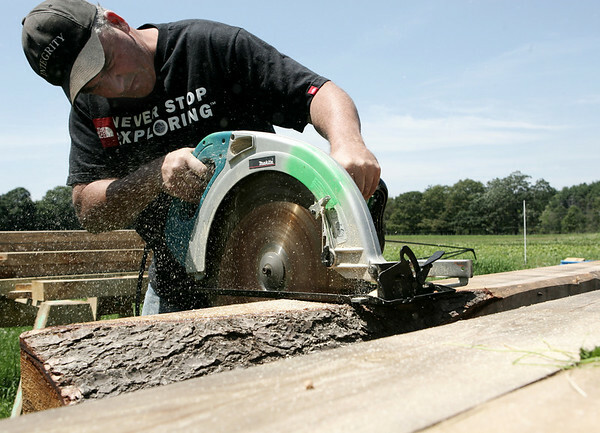 John Sheridan of Integrity Restoration works on trimming a piece of wood that will be used to build a new barn at Appleton Farms in Ipswich. The wood is made of dessimated hemlock that was attacked by wolly adelgid. The attack however has improved the building quality of the wood. Photo by Deborah Parker/July 11, 2009.